So why jump to "we need a new standard" right away? 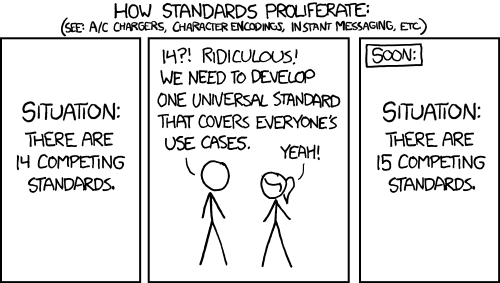 What existing standards did you consider and what was wrong with them? They don't do end to end encryption?